There’s nothing wrong with a night out on the town – especially with St. Patrick’s Day coming up. However, if you’re going out for a few drinks, things can get quite expensive. 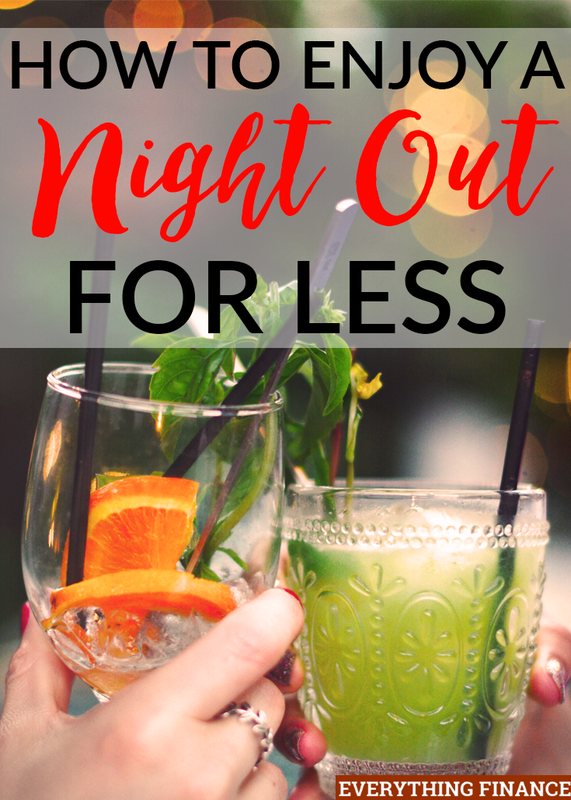 When you combine alcohol costs with dining out, it can significantly increase your bill quickly and no one wants to wake up with an empty wallet or a drained bank account the next day. It’s best to budget for all your entertainment, especially alcohol purchases, you can also check the lær mere for some amazing ways of entertaining yourself. That way, you can keep your spending in check without compromising a fun night out with friends. Here are some of the best ways you can avoid spending all your money on alcohol when you go out. Call ahead before going out and find out what day or time happy hour is. Happy hour will save you quite a bit considering most places offer drink and food specials during that time. It may end up being a bit earlier than you expected, or your favorite place might not offer any happy hour specials, so you might have to try a new place out. However, if you’re available and willing to save the money, you should definitely try happy hour out. This may or may not work. If you frequent a location and know the bartender, you may be able to ask him or her for a discount on your drinks. Another thing you can do if you’re going to drink the same thing all night is to ask for a discount if you order your drinks in bulk. For example, if you like a $6 cocktail and wouldn’t mind drinking two more for the night, ask if you can pay for all three drinks at once for a discounted price. If it’s a beer night and no other cocktails are on sale at the time, they may be lenient and let you do it. Bringing cash with you to the bar is the best way to ensure that you don’t spend all your money on alcohol. Bring only enough cash to meet your budget for the night plus a tip, and leave your debit and credit cards at home so you won’t be tempted to spend more. The cash-only budget option is a low-effort way to manage your money properly when you go out. Pitchers may cost a bit more than a one-serving drink, but if you and a group of friends plan to drink the same thing, ordering a pitcher can be much cheaper because you can all split the price. Sometimes, pitchers are cheaper all around if they’re offered as a special. Many places advertise pitchers for $2-5 which is a steal. In most cases, beer will always be cheaper than mixed drinks so try to stick with domestic beers if you’re really on a budget. Fill up on a full dinner before you go out so you’ll drink less. You’re not supposed to drink on an empty stomach anyway. Plus, as an added bonus, you’ll save money on expensive snacks and appetizers. Having a small potluck at your home with friends before you go out can be a great way to pregame and hang out beforehand while minding your budget. If you don’t happen to have a large meal before you go out, try taking it slow by drinking water in between your alcoholic drinks. Water is always free at the bar, and drinking a small cup after every drink will help reduce the amount of alcohol you buy and increase the amount of time you can stay out. If you brought $15 with you for the night and it was only enough to order two drinks, you’d probably be ready to retire early for the night after you finished your drinks. If you drink water in between, it will slow things down and allow you to stick around and socialize more. Most people drink for the social interaction. Have you ever heard the saying that nobody likes to drink alone? If that’s the case, you should be somewhat willing to grab an alcoholic drink with others at some place other than a bar. There are plenty of restaurants, bowling alleys, and entertainment centers that have bars in them, but aren’t advertised solely for the purchase of selling alcohol. When you go to a pub, you’ll probably spend more money on alcohol than if you were to go to Brunswick Zone and bowl a few games with friends on a discount night. Doing other activities will take your focus away from drinking and allow you to focus on socializing. This will also keep more money in your pocket. It’s important to know your limits when it comes to drinking alcoholic beverages outside of the home in terms of your finances and your overall wellness. Remember what your ultimate financial goals are and limit your spending on anything that doesn’t help you achieve them. Sometimes we need to relax, loosen up our wallet for a night, and enjoy life in the moment, but it can certainly be done frugally and in moderation. I love the idea of drinking water in between. I think one strategy is to set a limit, aside from the budget, to how much drinks I gotta have. So excited about the coming holiday! It’s really time to relax and loosen up. Limit, limit, and limit. Whenever I am in a club, I set my limit in how much drink I would take in and how much I have to spend. It’s really hard when you’re there, but I gotta do it and sometimes I just don’t bring my credit card and bring enough money I am willing to spend.